In light of recent actions by the NFL and some of its players this author felt it important to review the reasons why we pledge our allegiance to the Flag of the United States of America. 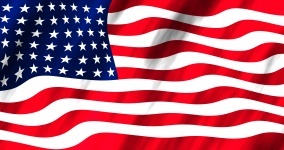 The United States Flag has thirteen stripes alternating red and white from top to bottom. Each stripe represents one of the thirteen original colonies. In the upper left hand corner is a blue rectangle bearing 50 white stars. These stars represent the fifty states of the United States of America. The thirteen colonies which are represented by the stripes were the colonies that declared independence from the Kingdom of Great Britain. They became the first states. "Old Glory", "The Stars and Stripes", and "The Star Spangled Banner" are nicknames for the American Flag. The first flag, adopted in 1776, had a Union Jack in the upper left corner (not stars). The second flag used from June 14, 1777 – May 1, 1795 had thirteen stars each representing one of the original states which were: Connecticut, Delaware, Georgia, Maryland, Massachusetts, New Hampshire, New Jersey, New York, North Carolina, Pennsylvania, Rhode Island, South Carolina and Virginia. New stars were added to the flag as more states were added to the union. Now, of course, there are 50 stars representing the 50 states. In 1892, Frances Bellamy wrote the Pledge of Allegiance to the U. S. flag as a promotion of patriotism for Columbus Day. At this time President Benjamin Harrison and the Congress proclaimed the flag ceremony as an important part of Columbus Day festivities. The flag ceremony was adopted by the National Education Association for celebration in public schools. The wording was changed in 1923 from "my flag" to "the flag of the United States of America" in order to make it clear to immigrants what flag they were pledging their loyalty to. In 1942 Congress officially recognized the Pledge of Allegiance. In 1954,, Congress was encouraged by President Dwight D. Eisenhower to add the words "under God". This was done as an anticommunist gesture. The salute to the flag was originally done by a straight-armed salute with the right hand in the direction of the flag. But during the days leading up to World War II, this way of saluting the flag was believed to be too similar to Fascist salutes used by Nazi Germany. Thus the flag code was amended by Congress that the flag was be honored by placing the right hand over the heart while reciting the pledge. There are some definite rules for displaying the American Flag. If displayed on the same pole with other flags it goes at the top. The flag goes at the marcher's right if it is carried as ina parade. If the American flag is in a group , it is positioned to the right and at the same height as other national flags. If the flag is mounted on a staff on a dais it stands to the right of the speaker. Otherwise it goes above and behind the speaker. The star field faces east or north,according to the orientation of the street, when the flag is hung over the street. When the flag is displayed on Memorial Day it is hung half staff until noon. Then it is raised to its full height. Hanging the flag upside down is frowned upon in most cases. The United States Flag Code states that hanging the flag upside down should be done only in times of distress as in when the owner of the flag is in extreme danger. In the military it is recognized as a call for help. It is sometimes hung upside down, in violation of the code, as a protest against actions of government. The flag code also covers instructions on how to dispose of a flag. This as well as other rules pertaining to display will be covered in a later article.